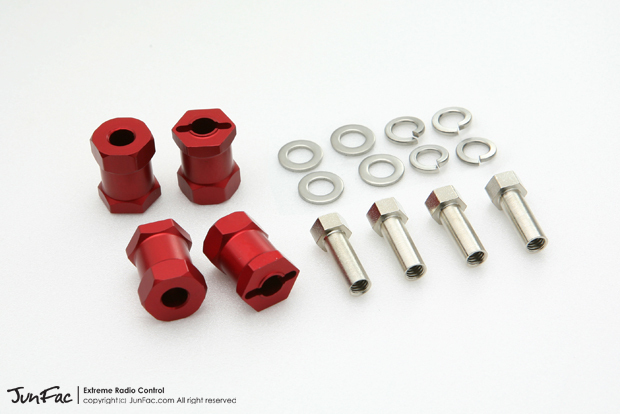 Adds 1'' overall width to AX10, SCX10, TLT-1, XC or CC-01, all vehicles that use 2.2'' Tamiya wheel adaptors. CNC machined out of aluminum. Kit includes 4 wideners, 4 long reach nuts and spring washers. These work with the Losi Mini but the Losi pin is smaller so there is some play.